The Outsiders' Featured Tutorials are selected from a variety of sources including the best tutorials from the impressive archive on The Xara Xone (created by Gary Priester), Guest Tutorials submitted by Xara enthusiasts and new material created by Xara. 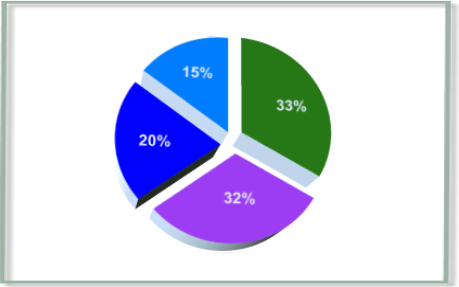 This month we have a tutorial on creating a 3D pie chart in Xara Xtreme v4, plus you'll find some more Xtreme text examples to download at the bottom of this page. 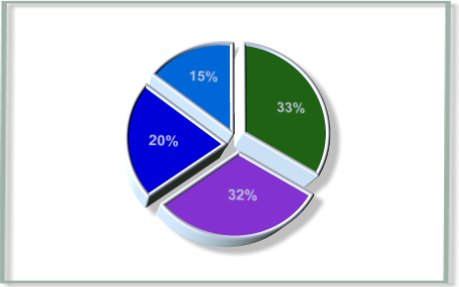 A couple of years ago we did a tutorial showing how to create a 3D pie chart using Xtreme and Xara3D. Well now of course you can do it all in Xtreme V4, so we think this is worth revisiting. So, let's start by creating a sliced pie. 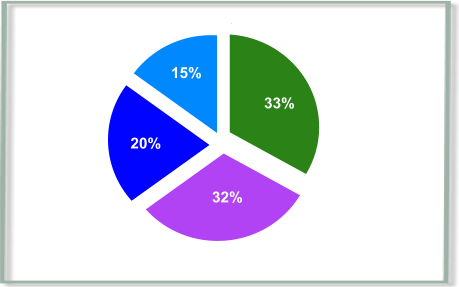 Slicing a circle up into segments for a pie chart requires a few simple calculations. (The odd fractions of a degree do not matter, so best to ignore them). Select the rotation origin to be the bottom of the line. Enter the required angle from your table. Now, repeat steps 2 and 3 for each of the entries in your table. i.e. clone the last line you just created, and enter the new angle. This will create a series of lines going anti-clockwise from the same center point. Note: if you un-select the line, then this will not work because the rotation origin is lost. So the sequence is easy and really quick: Ctrl+K - enter new angle - Ctrl+K - enter new angle...until you have added all the angles. Select all the lines and select the Arrange -> Join Shapes menu option. The status line should now show 1 line. Draw a circle that's smaller than the lines. (Select Ellipse tool and drag with Ctrl held down). Select the 'Snap to objects' option on the top button bar (magnet icon). And now drag the center of the circle so that it's over the center of the lines. The Pointer will show a small magnet icon when it's snapped to exact center. (Tip: If you're not quite sure of where the center of the circle is you an make a good guess and xara will usually snap to the correct position. Or you can select 'Show object edit handles' button on the left of the Selector tool, and now when you select the circle the center is shown). Put the circle to the back (Ctrl-B). So now the circle is exactly under the lines like this. (I've drawn a red circle but the color does not matter). Select the lines and circle and the menu option Arrange -> Combine Shapes -> Subtract Shapes. Select Arrange -> Break shapes. Your circle is now cut up into the required slices. 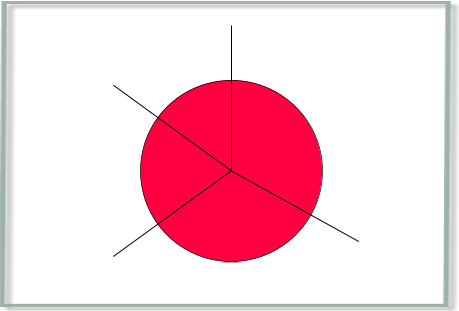 You can color each of the segments as required and drag one segment out if you want to highlight it. Add any captions you want on top of the segments e.g. Next, remove the outline. 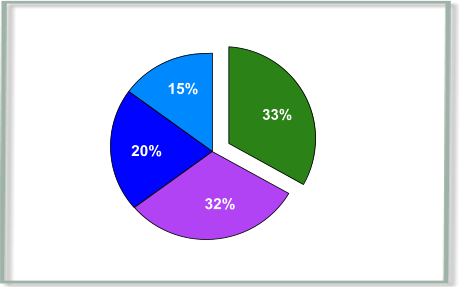 Click on the Selector tool, select the pie chart then choose Set line width from the dropdown list and click on None. 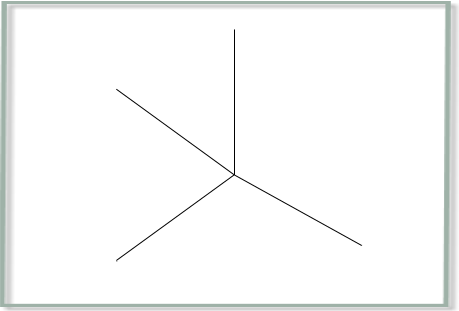 In this example the outline has been removed. So now we're ready to extrude the pie chart. It's important to goup all the elements of the pie first, so click on the Selector tool, drag to select all the elements and group them (Ctrl G). Then select the Extrude tool to add the extrusion. 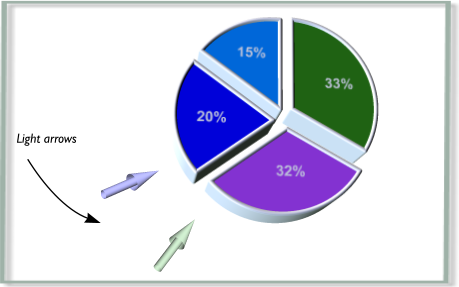 You can simply drag on the face of the pie chart to rotate it, and drag on the side of the pie chart to increase or decrease the extrude depth . You can add a bevel type of your choice from the bevel type dropdown menu. You can also experiment with the light and shading by clicking on the Lightbulb icon and dragging the light arrows. Finally, you might want to lift your pie chart off the page with a subtle soft shadow . And this is the resulting 3D extruded version. Here's a few more extrusion examples that you can download and play with. 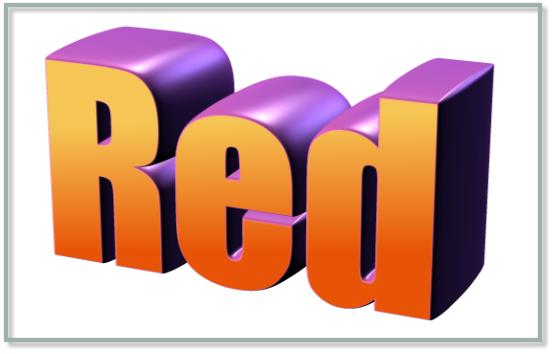 This extrusion is a single word using the Impact font, filled with a graduated fill across the face of the text. It has then been extruded with a large curved bevel, with the sides colored purple and the lights set to reflect off the curved side. The front face texture is created by a graduated color fill, and then a fractal transparency texture is placed on top of this. To see the text underneath, select the Extrude tool and remove the extrude by using the first button on the InfoBar. 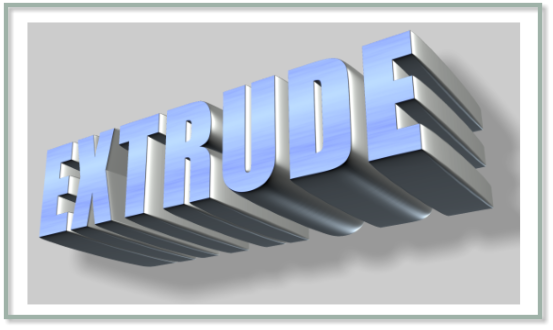 This is what the text looks like before the Extrude is applied. Then it has been extruded, and the bevel, lights and a soft wall shadow applied to make it stand out from the background.